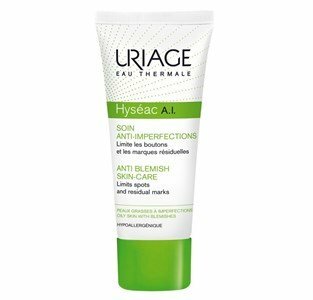 Hyséac A.I. helps eliminating and preventing blemishes​. Add-on therapy of inflammatory or mixed acne. With an early aseptic action in the formation of inflammatory lesions, it limits the appearance of residual acne marks. This care avoids the appearance of scar marks on the skin. Apply one to two times a day on clean, dry skin. Before sun exposure, use a sunscreen.